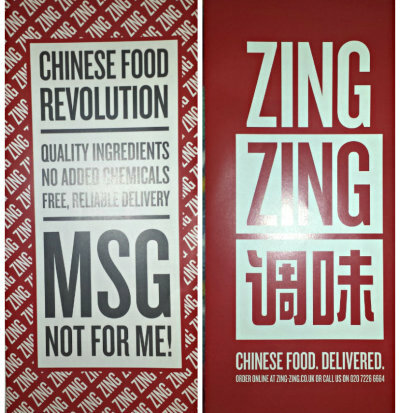 I got this Chinese Take Away flyer through my door yesterday, and it immediately caught my eye. The branding is perfect for its purpose! I love the colour choices. They are actually predictable colours for a Chinese restaurant, but used in an unusual way. No tacky photos of plates of food, no clip art of bamboo, and a lovely attention grabbing large font. 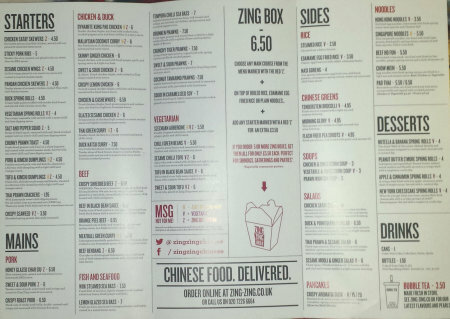 What the front of flyer does so cleverly is to clearly position its offering against the rest. It isn't just another choice, it's a different choice. Look how large the 'MSG NOT FOR ME' message is; it's change from the norm and it wants to shout it. They have also unusually used the word 'reliable', rather than just focusing on the fact that they deliver. Again, it's a positioning against the competition. The slogan is simple, with a rather dramatic full stop. "Chinese Food. Delivered". Have you spotted any fabulous branding recently? Keep an eye out!